Merry Christmas and a Blessed New Year! ACyberPilgrim articles will resume in 2015, so watch this space. Insights from the Florida Educational Technology Conference will be shared in early February. Have a wonderful Christmas break.. I look forward to seeing you in 2015. During the weekend of November 22nd, the film – The Christmas Candle will be showing in theaters around the country! I saw a preview showing of the film Thursday evening, I loved it! I’d encourage you to purchase your ticket and go see it! It is a holiday film for the entire family! The story – Legend has it every 25 years an angel visits the village candlemaker and touches a single candle. Whoever lights this candle receives a miracle on Christmas Eve. Filmed on location in England, depicting the 1890 time period where it is at the dawn of the electric age. There is tension between the legend and the coming electric age. The photography is excellent, I felt like I was in the midst of this time period. When David Richmond (Hans Matheson), a progressive young minister, arrives in Gladbury, the villagers discover a new formula for miracles: good deeds and acts of kindness. In this winter and Advent season, where each day gets darker and darker, it is a time to be hope filled in the Light of Christ! The story is also a visual experience of the lighting of the weekly Advent wreath with a reflection and prayer. If we reflect on our day to day lives, there are moments when we have lost hope! Yet our daily journey is to be a miracle to one another, offering the hope we each need to one another. Through prayer, Christ our Light brings hope to our daily lives. For the Christian Community, the story unfolds a journey through the four weeks of Advent up to a Nativity scene. What a way to begin a journey through the Advent season – visually experiencing the lighting of the weekly Advent wreath with each weekly prayer and then witnessing the birth of Christ in the context of this story. I’d take it a step further to say – we become the “miracle workers” because we have experienced the Light of Christ! For further information about the film, visit ChristmasCandleMovie.com! 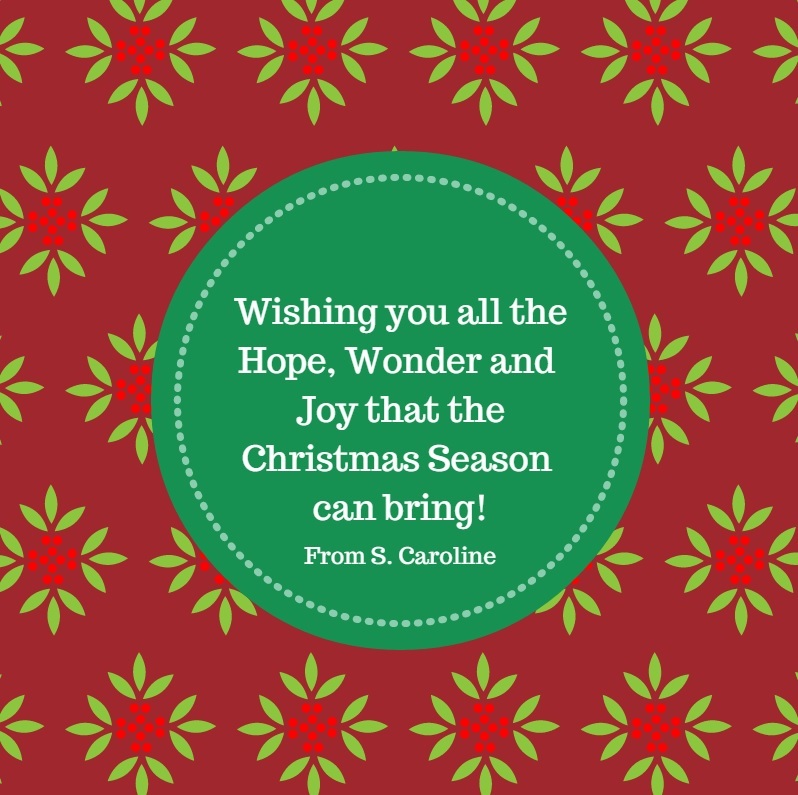 Wishing you all the Joy, Hope and Wonder of Christmas! One of the real joys of the Christmas Season is the opportunity to say Thank You and to wish you the very best for the New Year. May your Christmas be rich with family love, warm with friendship, happy with life’s goodness and blessed with the joys of the season. I am especially blessed with the many friendships that have developed over the years by our wondering about, struggling with, dreaming of, feeling challenged by the technology world that surrounds us in this 21st Century. Many of us may be Digital Immigrants and others are Digital Natives. Regardless of our tech experience, we are faced with effectively evangelizing in a Digital Culture. Thank you for being part of this digital journey. Like the shepherds in the field, we are surprised by a bright light only to discover Jesus. Like the Three Wise Men, we will journey miles in order to be led to Jesus. Today, we can be evangelizers to lead others to Jesus in new ways with Digital Tools. In 2013, I will continue to share my insights with you and I count on you to join in the conversation. It is in sharing our wisdom with one another in collaborative ways via blogs, wikis, twitter, Facebook and more that we will become more comfortable to evangelize in this Digital Continent to bring the Lord Jesus to others. I will be taking a brief break during this Christmas season to enjoy family and friends. I’ll be back in January! Warmest thoughts and best wishes for a wonderful Holiday and a Happy New Year! Christmas is in a few weeks! For many of us it is family time where we gather to share this season with one another. Of course, a camera is in hand and you capture your memories in digital photos. You may create your own music video with PowerPoint! . If you are a Verizon customer, you now have access to. Once you download and install Media Manager on your Windows PC (or the MAC version), you can import personal music, photos and videos and display them on FiOS TV through your FiOS TV DVR or HD Set-Top Box. All you need are your photo’s, your favorite tool, and your own touch of creativity! If you have slideshow to share, we’d love to hear about it. Come back and add the link to the comment section. Here is a sample of a video created with Animoto – Our Christmas Together. If you like this activity, take a moment to click on the “Like” button. With Christmas around the corner, you may be wondering how could you do digital storytelling with your students? I would encourage you to think about using Mixbook! More importantly, it is a tool that allows you to invite others to join you in creating a page. Once you have an account and have chosen a template, all you need to do is click on the “Invite” button and send the invite to them. Your saying this is impossible to do because you do NOT have access to computers while you are teaching your class! Well, many of our students have these tools either in their pockets or bookbags (e.g., iPhones, iPads) or they have computers in their homes. Or, you may be able to use the School Computer lab. Before you say this is impossible, I would encourage you to think of alternate ways this activity could be accomplished. 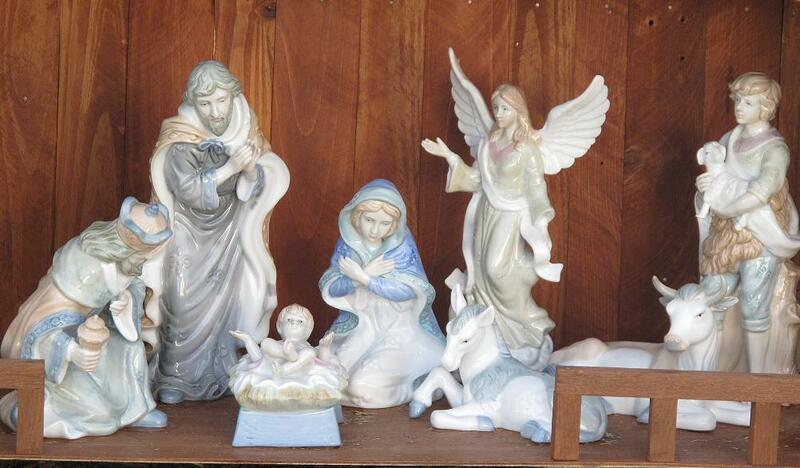 Last year, I watched as a group in my parish told the Christmas story outdoors at the church. I regret now that I only took a few photos as I’d love to show you more of how you could develop a booklet that would tell this story. I’m hoping that they repeat this event this year, I’d encourage the junior high catechists to involve their students in telling this story using Mixbook. How? Step 1: Invite students to attend the event and to bring their digital camera’s with them. Once photo’s have been taken, ask your students to upload them to the class Flickr website. Suggested resources for you Use Flickr in the Classroom or Using Flickr.com in the Classroom. This will give all students a place to upload their photos. You may assign this task to several students as these photos then are available for all to use. Cover Page: Insert a photo hear that shows a scene in the story. Add Christmas 2012 and you may have other suggestions. Pages 2 & 3: Choose 3 photos that will go on this page….two are large and one is mini-size. These photos will continue to represent different scenes from the Christmas story. To learn more about Mixbook, visit the tutorial . Step 3: Once you have some idea of what can be accomplished on each of these pages, then look at the list of your students and see who you want to assign to work together in small groups. You may need to see which students live close to each other and/or who are friends and would like to work together. It is also important to have some idea of students who may not have a computer, as you can involve students who have or do not have a home computer to be able to work together. Step 4: Once you have your groups and you have outlined what needs to happen on each page, then you can invite your students to create their page (or pages) with their assigned tasks. This year we will share the story of Christmas with our parish by creating an online photo book of the dramatic representation of the Christmas Story by members of our parish. We will be using Mixbook (Link to the Class website activity) for this project. When we have completed our Christmas story, we will share our work on the parish website. For an idea of what this may look like, check out our sample . We’ll talk more about this project when you come to our next class. Yes, there is some planning for you so that this project can be carried out. But the outcome will be a contribution that you can offer to the parish website that will be a way to guide your young students in becoming Digital Disciples as they share a story – potentially with the whole world. If you like this activity, take a moment to click on the “Like” button. Later, after your students have completed their Digital Story, come back to share the link and tell the story of what happened with your class. A Blessed Christmas and a Happy New Year! The week between Christmas and New Year’s Day is one of my favorites! Why? It is a time of celebrating the Birth of Christ, remembering the gifts, blessings, and sorrows of the past year, and of course we are each hoping for a better year than last year! On New Year’s Eve, many of us make a number of New Year Resolutions. One of my resolves will be to continue “blogging” and “sharing” as the Digital World is very important today for evangelizing and sharing the faith! As I stop to reflect on this past year and look forward to 2012, I want to thank each of you for visiting this blog and to thank my friends and the SSJ-TOSF’s for your support in this ever evolving digital ministry. It has been an opportunity for me to share with you a view of what is on our doorsteps – digital learning! When you return to this blog in 2012, I will continue to share with you insights, hopes, and dreams related to digital tools and learning. Wishing you a peaceful, blessed Christmas and a Happy New Year!